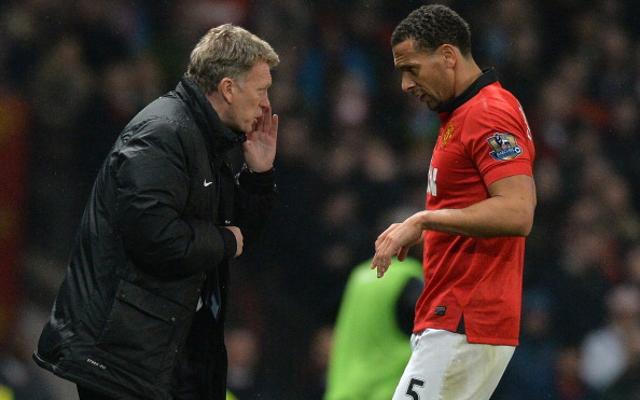 Former United star hits out at Moyes’ ‘small club’ mentality.Former Manchester United defender Rio Ferdinand has hit out at his old boss David Moyes for his approach to coaching the side during his brief time in charge at Old Trafford, the Daily Telegraph reports. The 35-year-old, currently of Queens Park Rangers, spent twelve years at United and enjoyed tremendous success under the legendary Sir Alex Ferguson, though he admits his career hit a low point in his final season with the club when Moyes took over. United finished 7th in a disastrous campaign, with Moyes not even lasting until May as he was relieved of his duties by the club in April after missing out on Champions League football and Europe altogether after a desperately poor run of form. Ferdinand has now revealed that the Scot had a small-club mentality in his time at United, whilst also handling the tactics badly and not making it clear enough how he wanted the side to play. “Moyes’ innovations mostly led to negativity and confusion,” he wrote in his autobiography. “The biggest confusion was over how he wanted us to move the ball forward. Often he told us to play it long. Some players felt they kicked the ball long more than at any time in their career. The former England centre-back added that he felt personally humiliated by Moyes when he was dropped from the team’s crucial Champions League tie against Bayern Munich, saying that the decision made him want to scream. “It killed me,” he added. “Inside I wanted to scream and grab him. I’m a team player, so I just had to bite my tongue and stand there. But it was probably the worst single moment I ever had at United.